The Lumex heavy-duty lifts makes heavy transfers easy and will pick an indivdual up from the floor. 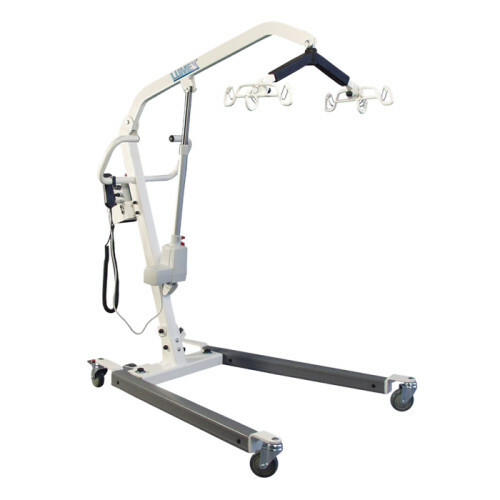 Large, easy to grip handles for easy maneuvering 600-lb weight capacity and can lift a patient from the floor. 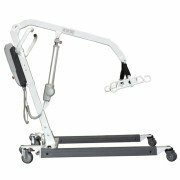 Six-Point spreader bar with 360° rotation tilts to enhance comfort and safety. 24V DC motor allows quiet smooth operation. Warning beep for low battery charge and weight capacity levels. 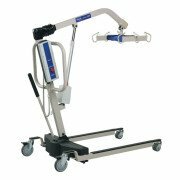 Larger spreader height up to 71" and a base that opens as wide as 43", this is the a great lift for bariatric patients with a great price!